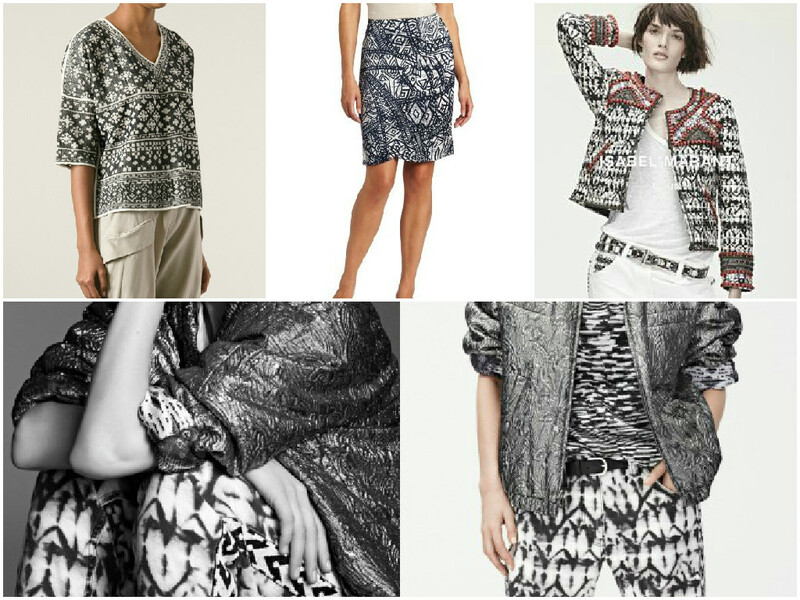 These tribal graphic prints have always been popular but they shot through the stratosphere a while ago when the achingly cool Isabel Marant developed collections based on the imagery and graphics. This indigo tribal cotton is a lighter weight one but with a slightly crisp hand. 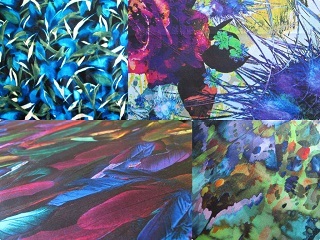 The fabric lends itself to all sorts of garments…pants, dresses, skirts. And you could make a classic shirt or easy top, and even a jacket like the trophy jackets Marant made a few years back (top right). Please excuse the slightly hazy look to the fabric here. I wanted to show you the print on the larger scale but sometimes with the graphics prints the camera seems to find it hard to focus. Of course, it will be my fault, something I do or don’t do, but I struggled to get a good sharp shot of the fabric on this scale. The fabric used in these pants is obviously more fluid, but this shot is great to give an idea of the look that can be put together with a tribal print. Image from Street Fashion blogspot. 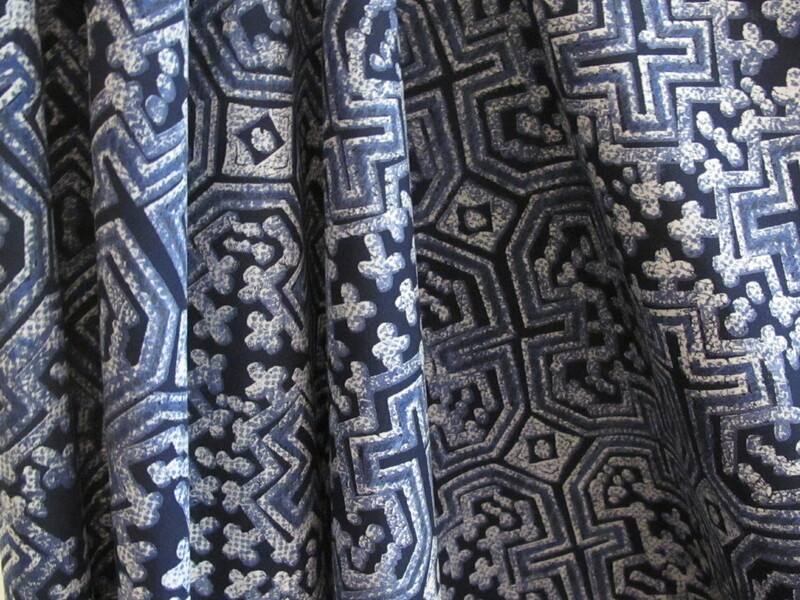 Back to the fabric at hand. The pieces measures 150cm x 2.6 metres. 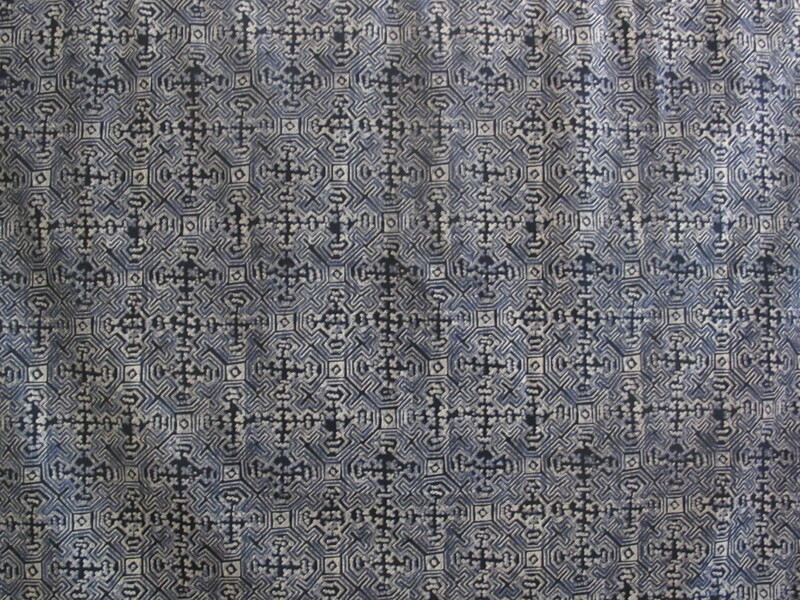 This fabric does come from the garment district but I think I got it from the wonderful Linda at EmmaOneSock. 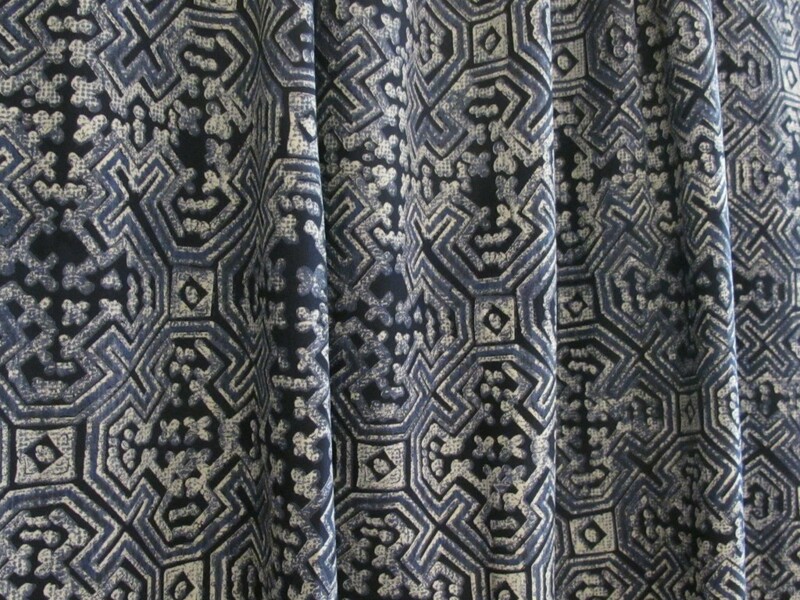 I think I paid in the 20’s for this fabric, but I’m not sure about that either, so I will ask just $19 a metre, which is $50 for the piece. I think I’ll probably just be able to send this in a small satchel at $8.25.